Amy C. O’Hara is a partner with the law firm of Littman Krooks LLP. Amy’s practice is focused in the areas of estate planning and administration, trust administration, guardianships, special needs planning, personal injury settlement consulting, elder law and veterans’ benefits. Amy has beenaccredited by the U.S. Department of Veterans Affairs to present and prosecute claims for veterans’ benefits. Amy lectures frequently to advocacy organizations and families on the importance of proper planning for families of children with special needs. She also regularly publishes articles relating to estate and special needs planning. Amy is Certified as an Elder Law Attorney (CELA®) by the National Elder Law Foundation. She is a member of the New York State Bar Association (NYSBA), Elder Law and Trusts & Estates Sections of the NYSBA, Westchester County Bar Association, and Mamaroneck-Harrison-Larchmont Bar Association. She is also a member of the Special Needs Alliance, a national, not-for-profit organization dedicated to assisting families with special needs planning. 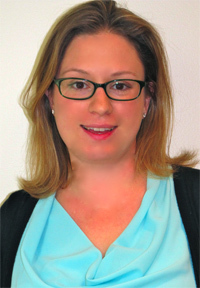 Amy is a member of the board of directors of Westchester Disabled on the Move, Inc., a not-for-profit organization that aims to improve the quality of life and the rights for all people with disabilities. Amy received her Juris Doctor degree from University at Buffalo Law School and received her Bachelor of Science degree from Binghamton University. Amy is married and the mother of two boys.